For you to be a Care Champion Platinum, for Bal Utsav at the TCSW10K 2019, you undertake to raise a minimum of 10 lakh (₹ 10,00,000) in donations for Bal Utsav. In order to register as a Care Champion Platinum, you need to make an upfront donation of 13,000/- to Bal Utsav. This will be included in the total minimum amount to be raised by you as the Care Champion Platinum. Bal Utsav will require all your collections and completed fundraising forms, adding up to the committed amount of 10 lakh by 24th April 2019 for you to avail of the amazing benefits available for Care Champion Platinum. For you to be a Care Champion Diamond, for Bal Utsav at the TCSW10K 2019, you undertake to raise a minimum of 5 lakh (₹ 5,00,000) in donations for Bal Utsav. In order to register as a Care Champion Diamond, you need to make an upfront donation of 10,000/-to Bal Utsav. This will be included in the total minimum amount to be raised by you as the Care Champion Diamond. Bal Utsav will require all your collections and completed fundraising forms, adding up to the committed amount of 5 lakh by 24th April 2019 for you to avail of the amazing benefits available for Care Champion Diamond. 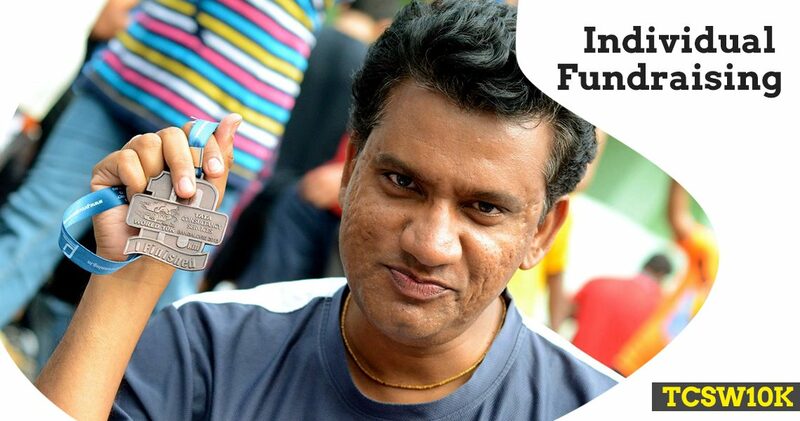 For you to be a Care Champion Gold, for Bal Utsav at the TCSW10K 2019, you undertake to raise a minimum of 2.5 lakh (₹ 2,50,000) in donations for Bal Utsav. In order to register as a Care Champion Gold, you need to make an upfront donation of 7,000/-to Bal Utsav. This will be included in the total minimum amount to be raised by you as the Care Champion Gold. Bal Utsav will require all your collections and completed fundraising forms, adding up to the committed amount of 2.5 lakh by 24th April 2019 for you to avail of the amazing benefits available for Care Champion Gold. the Care Champion Silver. Bal Utsav will require all your collections and completed fundraising forms, adding up to the committed amount of 1 lakh by 24th April 2019 for you to avail of the amazing benefits available for Care Champion Silver. Are you under 18 and want to join the tribe of change makers who are giving and supporting #EducationMakesAllTheDifference? You could now sign up as Millennial Champion and pledge to raise a minimum of 50 Thousand (₹ 50,000) in donations for Bal Utsav. In order to register as a Millennial Champion, you need to make an upfront donation of 2,000/-to Bal Utsav. This will be included in the total minimum amount to be raised by you as Millennial Champion. Bal Utsav will require all your collections and completed fundraising forms, adding up to the committed amount of 50 Thousand by 24th April 2019 for you to avail of the amazing benefits available for Millennial Champion.